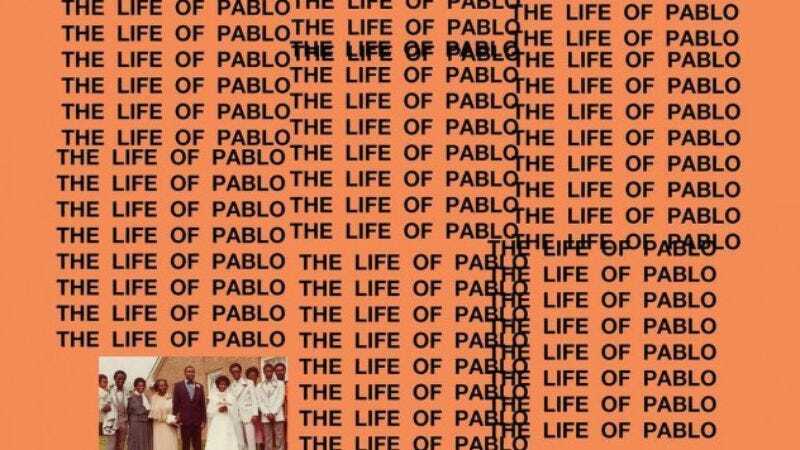 Following the old adage that says, “If you love something, let it go; if it doesn’t come back to you, it’s probably because you changed its name so many times it doesn’t know what it is,” Kanye West has finally released The Life Of Pablo into the wilds. The album release comes after a build-up that’s stretched for either months or decades, depending on whether we’re talking about the objective or subjective passage of time, featuring Twitter feuds, fashion shows, and the biggest promotional push Big Legal Pad has gotten in years. But now, the album is out, leaving us all to focus on the music, instead of whatever dumb thing West said most recently about Bill Cosby, or whatever. And now, having finished that performance, and smoothed out some technical glitches with The Life Of Pablo’s release, it’s time for West to return to his palatial lair and fall into one of his traditionally deep, hibernation-like Kanyesleeps, awaiting the day that the music news ecosystem can once again support one of his fickle, fitfully genius rampages.